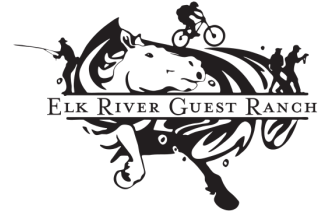 Only 40 minutes from the base of Steamboat Mountain and Resort, the Elk River Guest Ranch cabins offer an off-the-beaten-path retreat for those wanting to slow down and immerse themselves in nature with a backdrop of woods and mountains. Cozy guest cabins offer comfortable couches, a variety of wood and gas fireplaces or stoves--the perfect place to settle in with a good book. ​The ranch celebrates a wintry nature, so whether you're interested in hopping in a pair of snowshoes and taking a hike or whether you wish to make reservations at a nearby ranch for a sleigh ride, you can truly get-away-from-it-all at the Elk River Guest Ranch. We offer four comfortable, modern cabins with western decor for your stay. Each cabin has its own private bathroom, full kitchen, living space, and dining area. All cabins are provided with luxurious bath & bed linens, Aveda toiletry products, and ERGR bath robes (by request). Kitchens are completely equipped with eating & cooking utensils, along with microwave, refrigerator, electric kettle, and stocked with Kuju coffee pocket pourovers. We do not provide daily housekeeping, but if you're interested in it, speak with Bex and housekeeping can be arranged prior to your stay. Our one-bedroom cabins are $135/night and our 2-bedroom cabins are $185/night. We hope you come visit us for an intimate and cozy cabin experience! Click HERE for a more in-depth look at each individual cabin and capacity. Call Us Now at (970) 879-1946 to Reserve Your Cabin Getaway!